Dams have formed a charity committee whose remit it is to develop and implement the company’s CSR policy and monitor its effectiveness and impact. The charity committee includes employees of different levels with one representative from each department who is the chosen voice of their work colleagues. 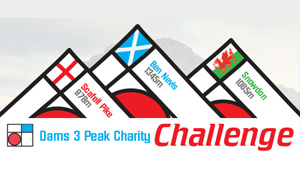 The Dams £50K for 50 years charity challenge aims to inspire and encourage Dams employees, both as individuals and as teams. 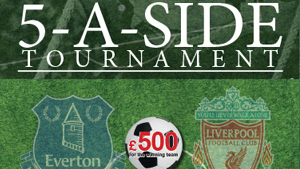 Funds are raised through various events held throughout the year, and employees are invited to take up voluntary work for the chosen charities. 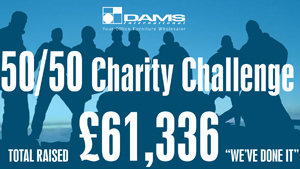 In addition to the company’s two chosen charities, Dams also understand that the company has a responsibility to the local area and are constantly striving to find new ways to engage with local communities to improve people’s lives. This is why Dams will continue to work in partnership with the Centre 63 community centre in Knowsley, Merseyside. Dams have been supplying Centre 63 with chairs, sofas, desks, cupboards, and other furniture which they upcycle and either sell on (to provide funds to run the charity as Centre 63 are a non-profit organisation) or donate to the local community. Dams have also signed up to a project with Knowsley Council where Centre 63 have agreed to train a number of people with work skills (including upholstery) and with the help of Dams’ endorsement Centre 63 been given a £75k grant for that training. The Dams furniture upcycling programme helps to train local people in upholstery and the necessary skills required to make furniture, with the promise of guaranteed interview at Dams if they want to pursue a career in upholstery, helping Dams give something back to our local community.